The 2016 PBA Commissioner’s Cup is here! Hooray! The new conference opened with two exciting games as Tropang TNT leaned on the returning Ranidel De Ocampo to beat Blackwater, while the Meralco Bolts got a boost from their new import to survive the Star Hotshots! The Talk ‘N Text Tropang Texters shrugged off the absence of their import and also a career-game from Carlo Lastimosa as they opened their title retention bid with a 108-102 victory over the Blackwater Elite on the opening day of the OPPO PBA Philippine Cup Wednesday at SMART-Araneta Coliseum. Talk ‘N Text played without Ivan Johnson, who was suspended one game for punching Elite players in a tuneup game. But that hardly mattered as the Tropang Texters were led by Jayson Castro, who finished with 22 points including a dagger triple late in the game, and Ranidel De Ocampo, who scored 20 points and four rebounds in his return from a back injury that sidelined him most of last conference. Blackwater, after trailing by as many as 14 points, pulled out one last rally ignited by Lastimosa who notched a career-high 39 points. But his efforts went for naught as the Elite fell short in the end. After staring at an 88-74 deficit in the fourth period, Lastimosa scored eight in his team’s 10-3 run that put them just within three, 103-100, with 1:46 remaining. Elite import MJ Rhett, who only finished with 16 points on 17 shots, then sank two free throws as his team managed to be just down by a point, 103-102, with 1:11 left. But after calling a timeout, Talk ‘N Text remained calm and gave the ball to Castro who fired a booming pull-up triple with 54 seconds left that pushed the team’s lead, 106-102. Lastimosa then muffed a one-hander and, after a Castro miss, Blackwater turned the ball over that led to a Larry Fonacier layup that sealed the final score. 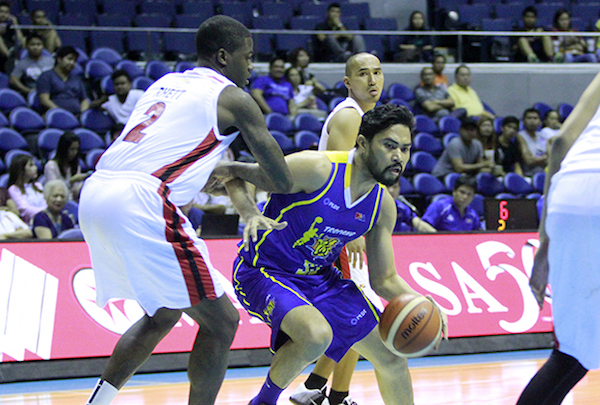 Ranidel De Ocampo (TNT) - 20pts, 4rebs, 3asts, 2stls, 2 triples, 7/12 FGs. Carlo Lastimosa (BLA) - 39pts, 4rebs, 4asts, 1stl, 4 triples, 13/21 FGs. 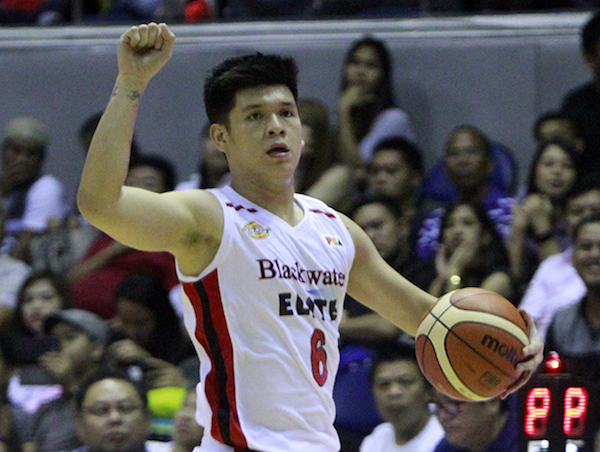 Not even Carlo Lastimosa's scoring explosion could push Blackwater to the win. 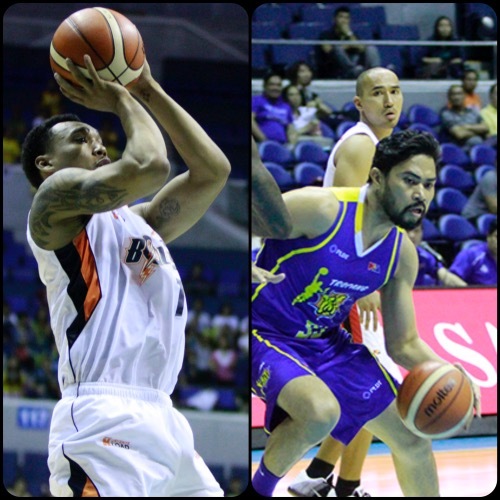 Ranidel De Ocampo puts the move on Blackwater import MJ Rhett. The Meralco Bolts started slow but finished strong to dispatch the Star Hotshots, 90-86, in the OPPO PBA Commissioner’s Cup Wednesday at SMART-Araneta Coliseum. Import Arinze Onuaku, despite arriving in Manila just 24 hours before the game, posted monster numbers of 25 points and 22 rebounds to carry the Bolts. 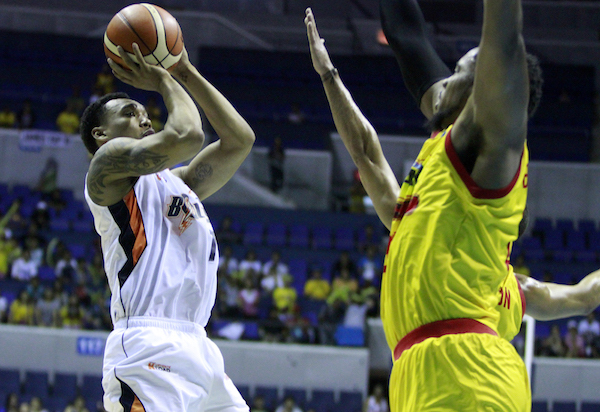 Chris Newsome made 16 points, while Cliff Hodge and Baser Amer with 12 and 10, respectively, to help their team notch a win in their campaign opener. 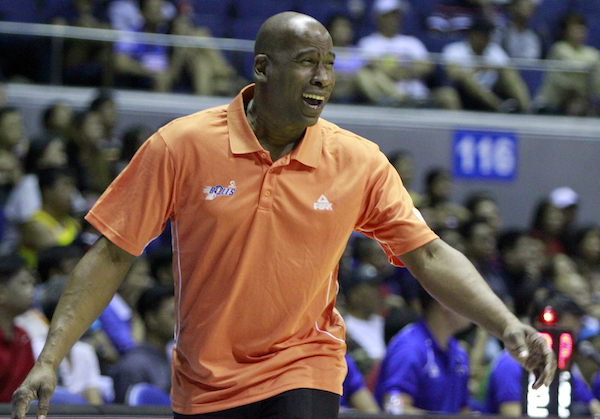 Meralco had been poised to cruise to the win until Star mounted a late rally. Down by six with 46 seconds left, PJ Simon completed a rare four-point play to keep the Hotshots within striking distance, 88-86. But a jump hook by Onuaku on the next play followed by a Simon miss ultimately allowed Meralco to pick up the victory. Denzel Bowles scored 20 points to lead the Hotshots, while Allein Maliksi and PJ Simon shot 14 and 12 markers respectively. Arinze Onuaku (MER) - 25pts, 22rebs, 3asts, 11/17 FGs. Denzel Bowles (STA) - 20pts, 15rebs, 2stls, 3blks. Chris Newsome shoots over Denzel Bowles. Coach Norman Black reacts to a call.